Systerel offers a range of industrially proven solutions using Model Checking based technologies for the static analysis and formal proof of systems and software. 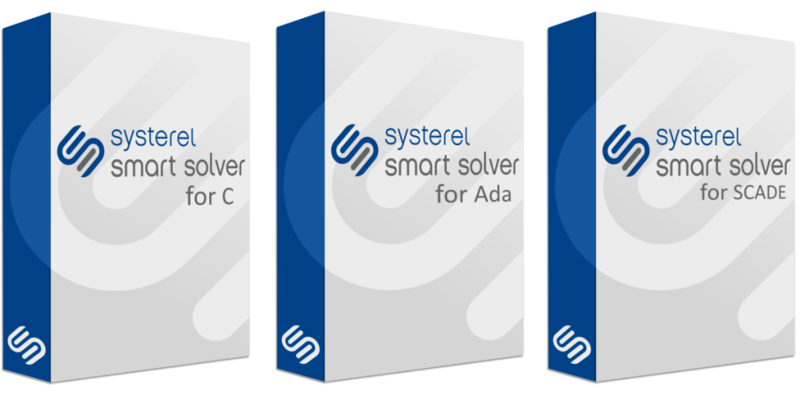 Systerel Smart Solver (S3), a SAT based analysis tool is central to these solutions. For academic experimentations or prototyping needs, Systerel gives access to licences of the Systerel Smart Solver. Systerel provided such licences to the French national aerospace research center (ONERA).